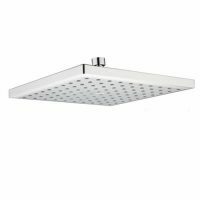 The Bo Lauren Rail Shower is a sleek and stylish rail shower head that is ideal for contemporary bathrooms. It is as stylish as it is functional and features a bold squared design. 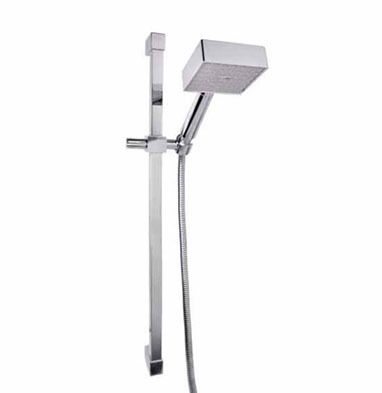 The Bo Lauren Rail Shower features a chrome finish and includes a hand shower, a hose, a rail, and an elbow unit. Experience the best of practicality with this rail shower unit. It comes equipped with high-quality double interlocking hoses and includes an adjustable brass rail with a soap dish. Trust that the Bo Lauren Rail Shower is a high-quality product that is built to withstand the test of time. From manufactures Linkware, it exhibits the highest standards of artistry and features top grade manufacturing. It features a 3-star WELS rating and 8 litres per minute capacity. As a mark of quality, this rail shower unit is backed by a limited lifetime replacement only warranty against faults in manufacture. 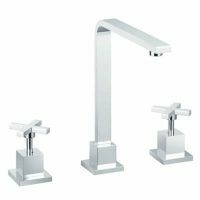 For a stylish and functional rail shower unit in Perth, nothing beats the Bo Lauren Rail Shower available at Ross’s Discount Home Centre. 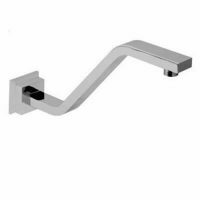 Shop from our online store today to purchase this modern shower rail unit at the lowest possible price!